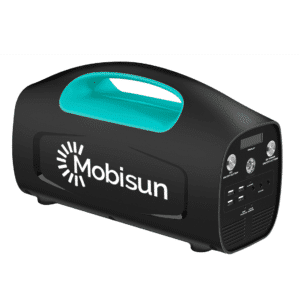 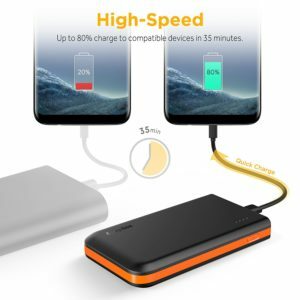 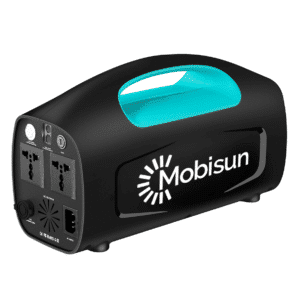 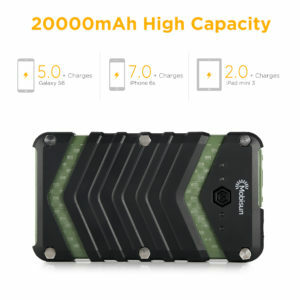 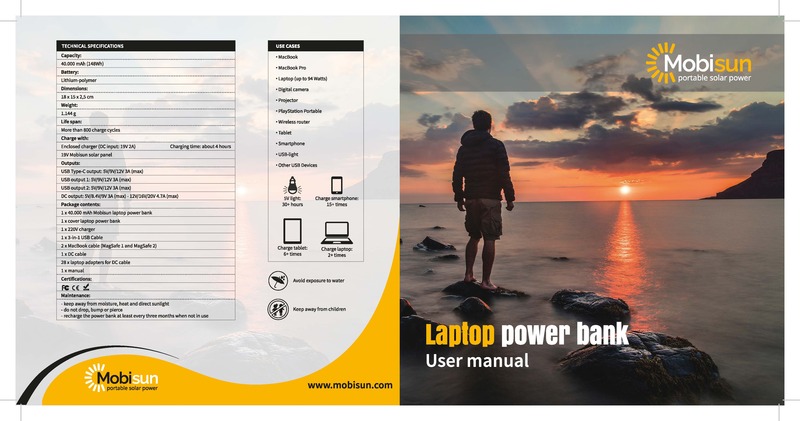 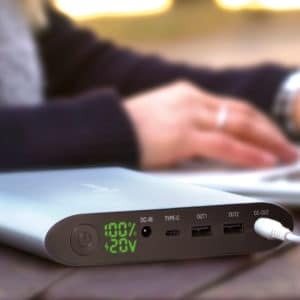 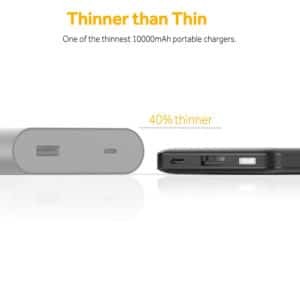 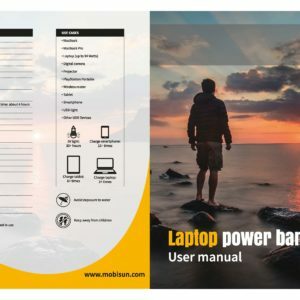 40000 mAh laptop power bank | Mobisun: ✔ altijd en overal je laptop opladen! ✔ incl. 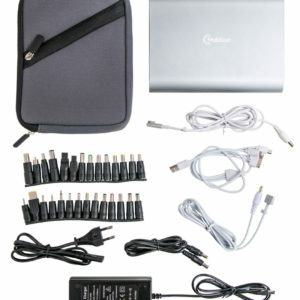 charger, 28 laptop adapters and MacBook cables (MagSafe 1 and MagSafe 2). 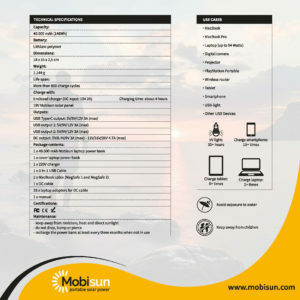 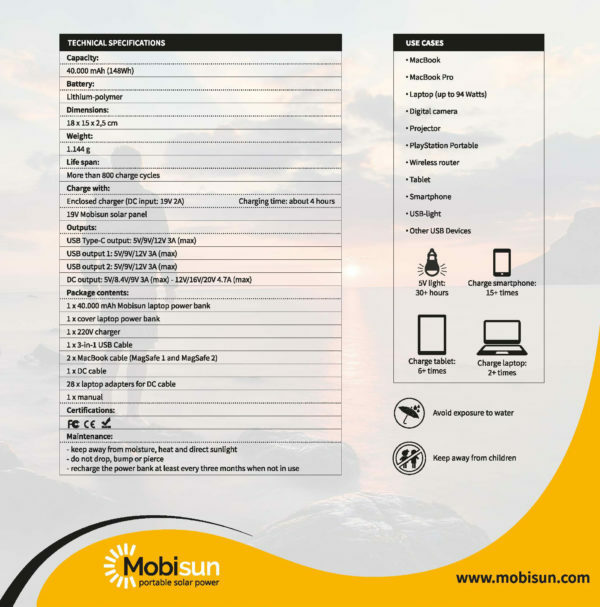 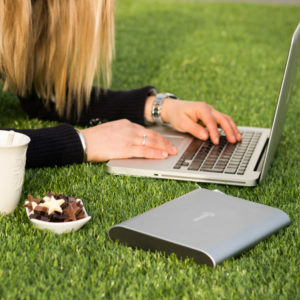 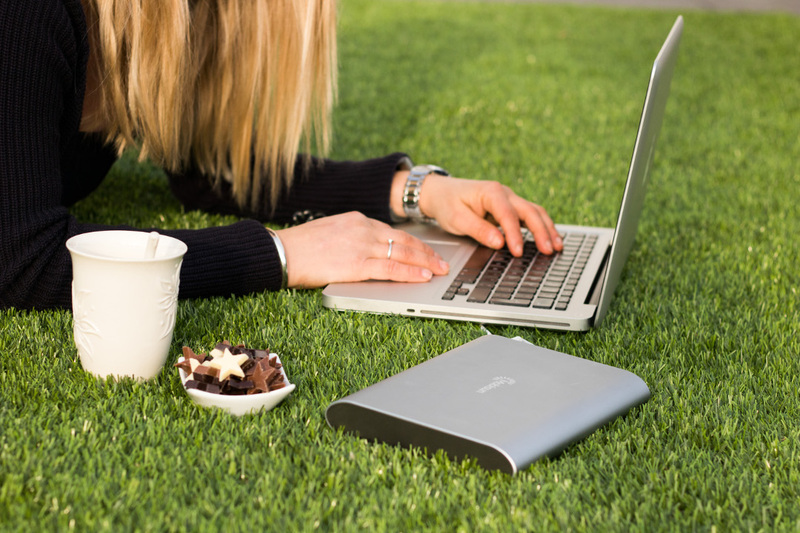 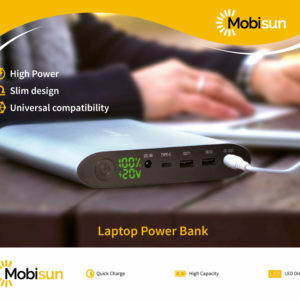 With the powerful 40,000 mAh laptop power bank from Mobisun, the battery life of a laptop can be extended up to four times. 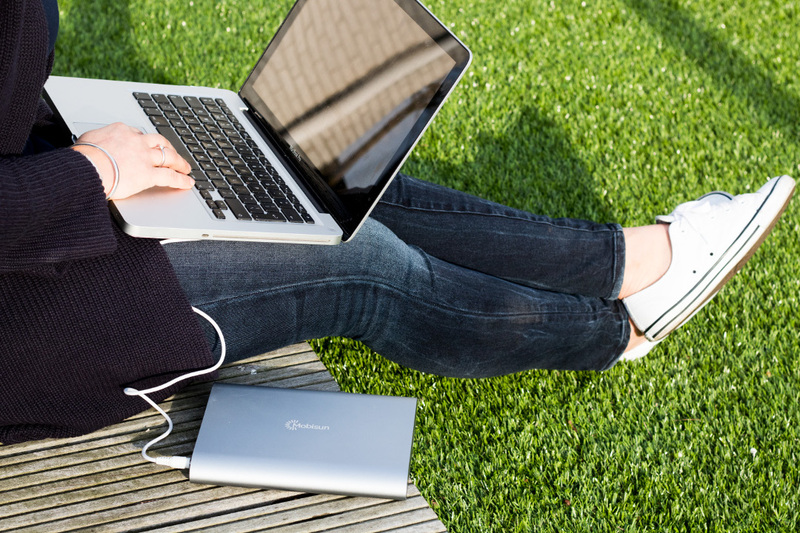 Super convenient when there is no outlet in the area. 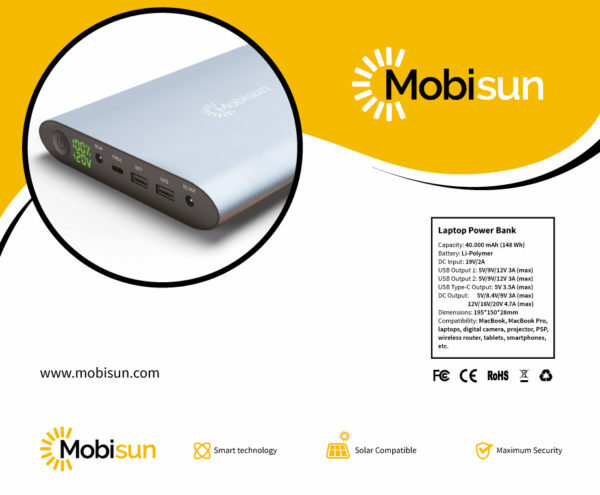 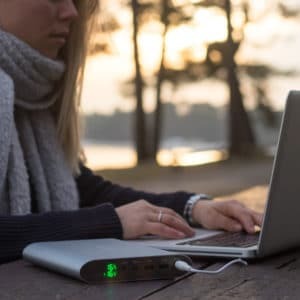 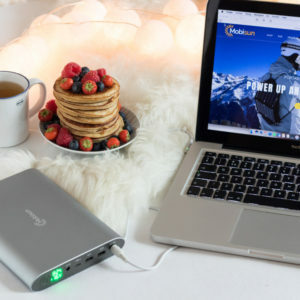 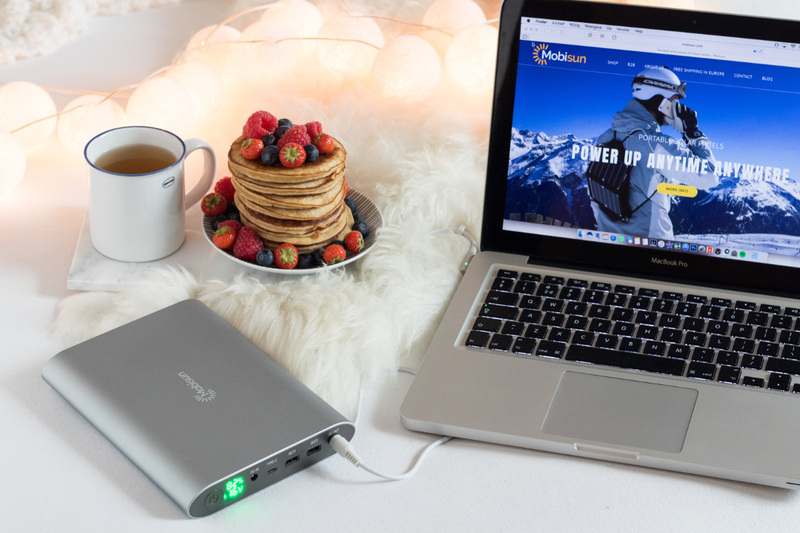 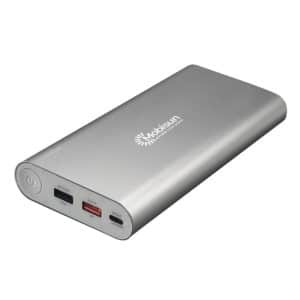 Due to the very high output of 94W and the large number of adapters supplied, the power bank is suitable for almost all laptops (including MacBooks). Via the USB and USB-C output, mobile phones and tablets can also be charged at the same time. 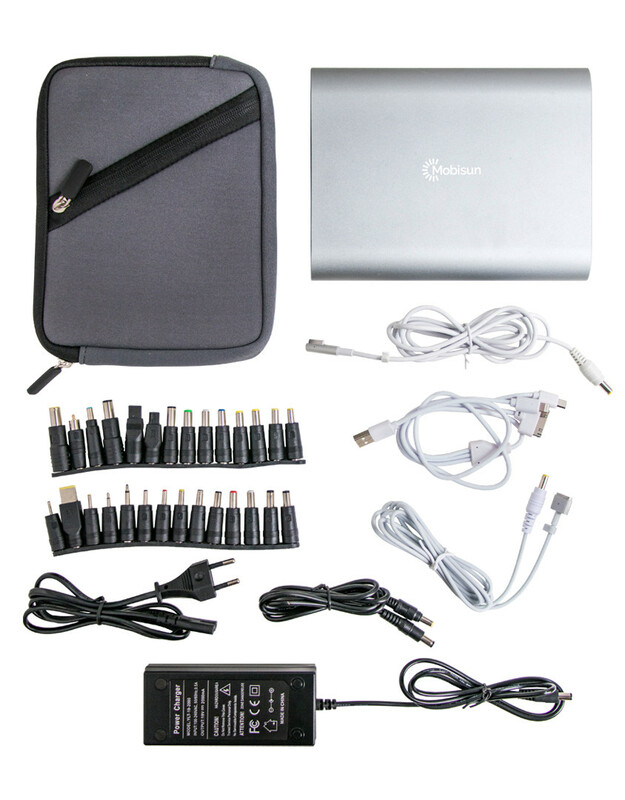 In addition, the laptop power bank is suitable for charging a digital camera, Playstation Portable, wireless router, projector, etc. 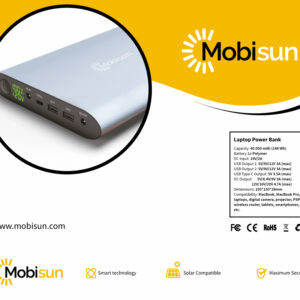 The status of the battery can be read continuously via the clear LED display. 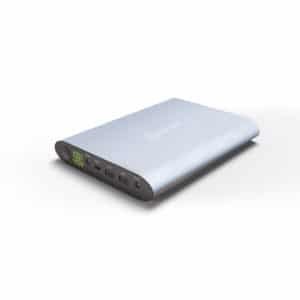 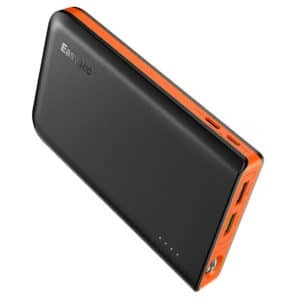 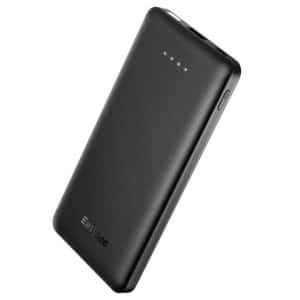 The power bank is equipped with the latest battery and charging technology which makes it very efficient. 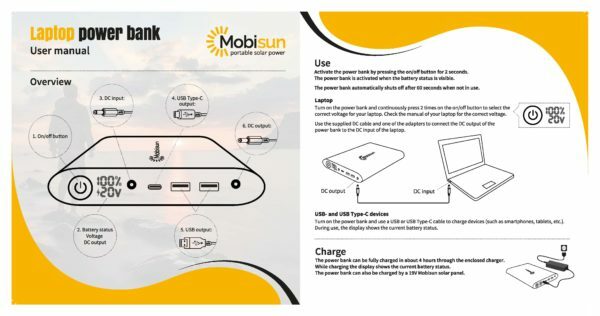 The power bank can be charged in approx. 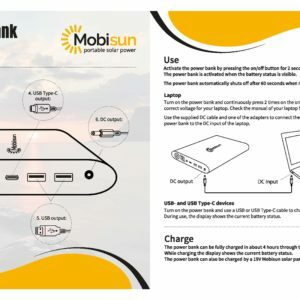 4 hours using the included adapter. 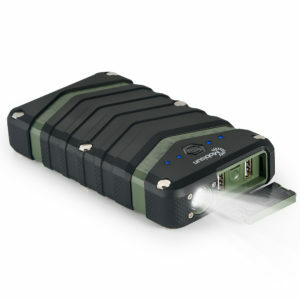 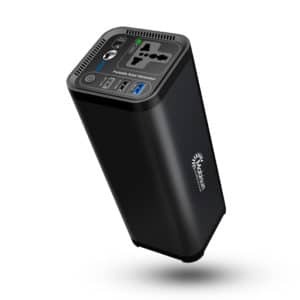 In short, a powerful all-rounder for the universal charging of laptops, tablets and mobile phones. Charge the battery of a laptop 2 to 4 times. 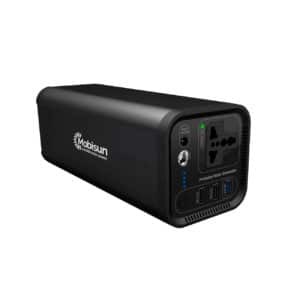 Note: output max 94W. 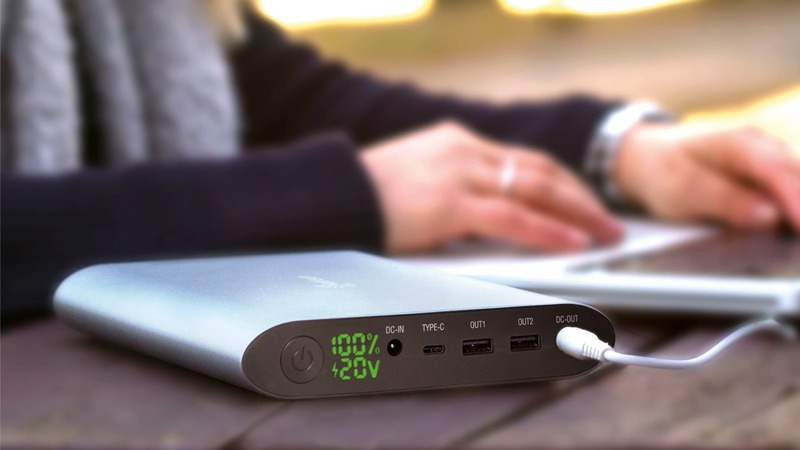 So not suitable for laptops or other mobile devices that require a higher charge capacity than 94W. 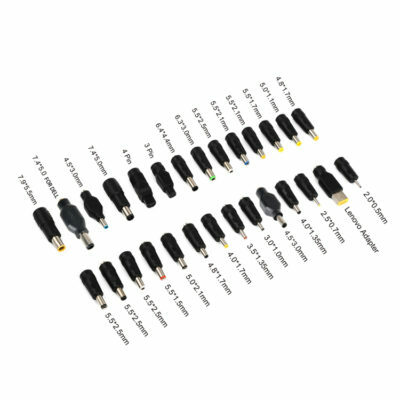 1 x 3 in 1 USB cable (iPhone 2x, Micro USB). 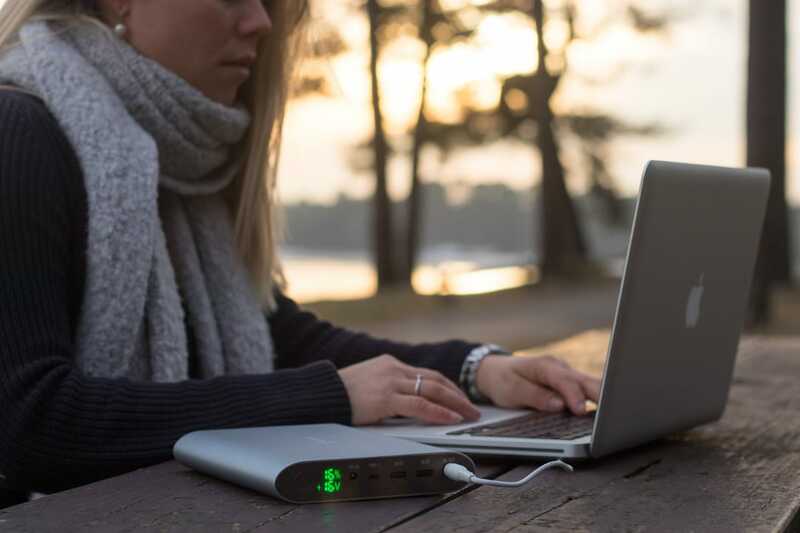 The laptop powerbank comes with a West-European wall plug. 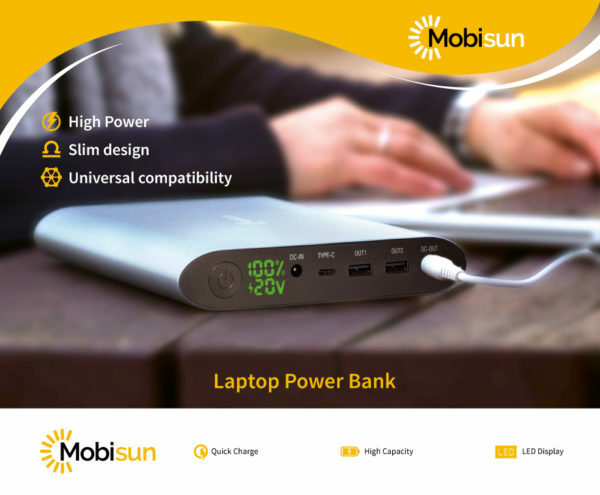 Customers outside of Europe will need a simple wall plug adapter to charge the laptop powerbank. Please visit this website to see the use of different plugs and sockets in the world.